Our family loved this old-fashioned cake. It smelled so good as it baked in my mother’s well seasoned cast-iron skillet. Sadly, I didn’t learn how to make this cake as I was growing up, but its taste and memories I never forgot. 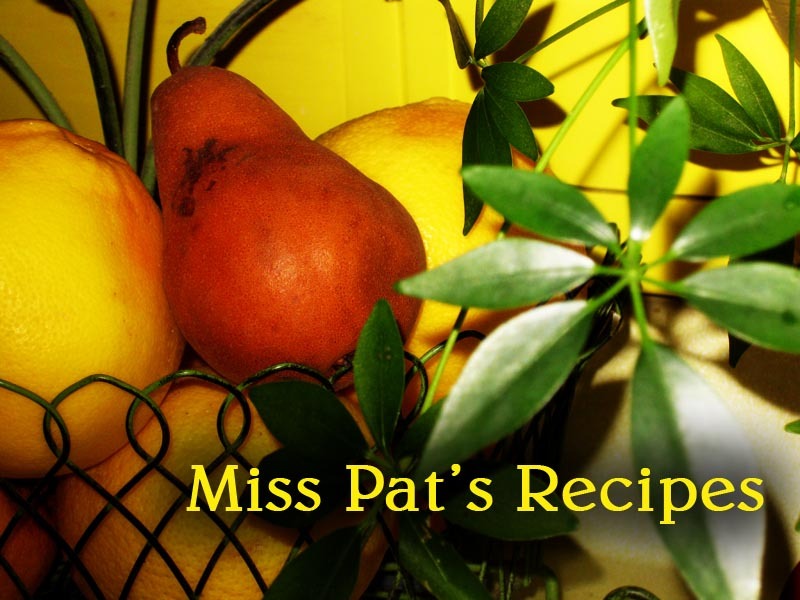 For this recipe, I took my inspiration from a Southern Living cookbook. After making a few small changes, I made this cake for my family. They loved it, and maybe your family will, too. Melt butter in a 10-inch cast-iron skillet. Sprinkle brown sugar and 1/4 teaspoon salt over butter. Remove from heat. Reserve 1/4 cup juice after draining pineapple. Cut slices in half, keeping one slice whole. Put the whole slice in the center of the skillet. In spoke fashion, place 10 half-slices around the slice in the center. 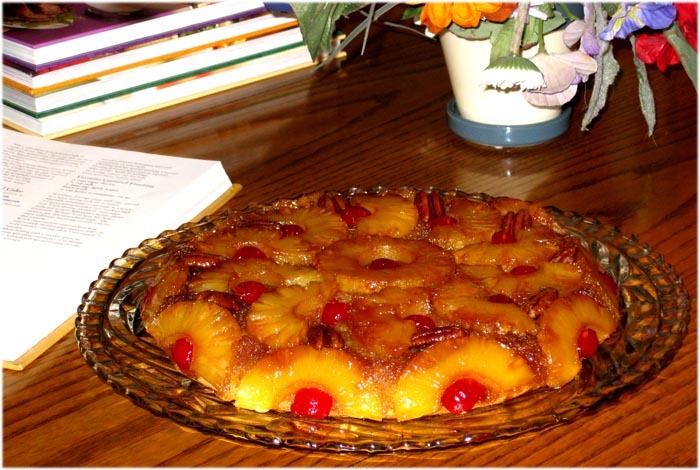 Place a pecan half and a cherry half between each spoke and a cherry half in the center of the whole pineapple slice. Place the remaining slices cut sides up around the sides of the skillet with a cherry half in the center of each. Beat the three egg yolks until thick and pale. Then, slowly add sugar beating well. Combine flour with next 3 ingredients; stir well. Alternately add flour mixture to egg yolks with pineapple juice. Stir in vanilla. Beat egg whites with cream of tartar until stiff peaks form; fold into batter. Spoon batter over pineapple in skillet. Bake at 350 degrees for 45 to 50 minutes. Remove skillet from oven and invert onto a serving plate. Enjoy!